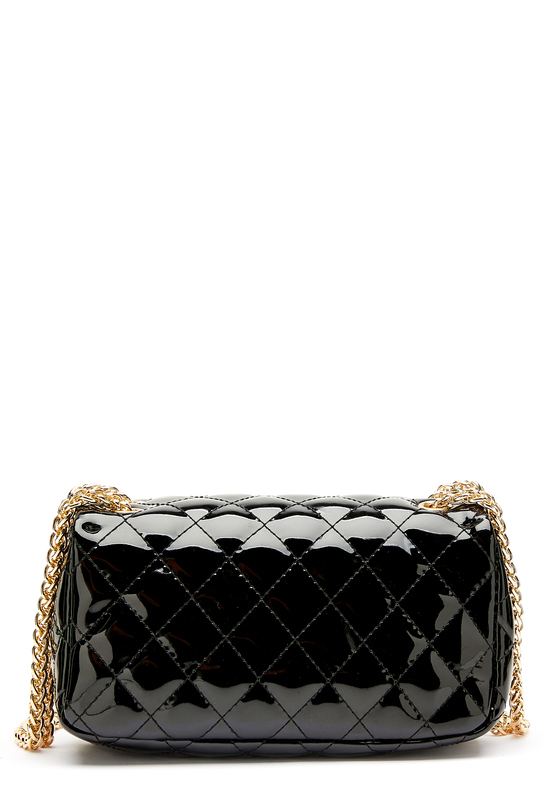 Elegant bag from MENBUR. 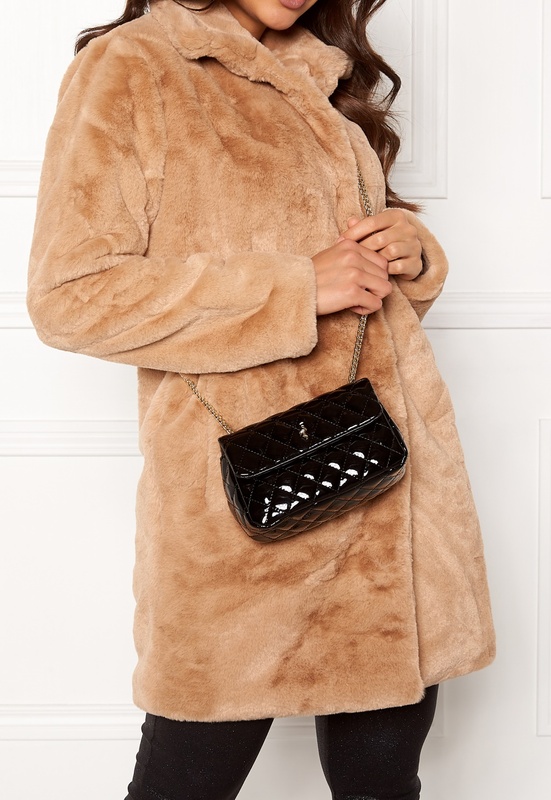 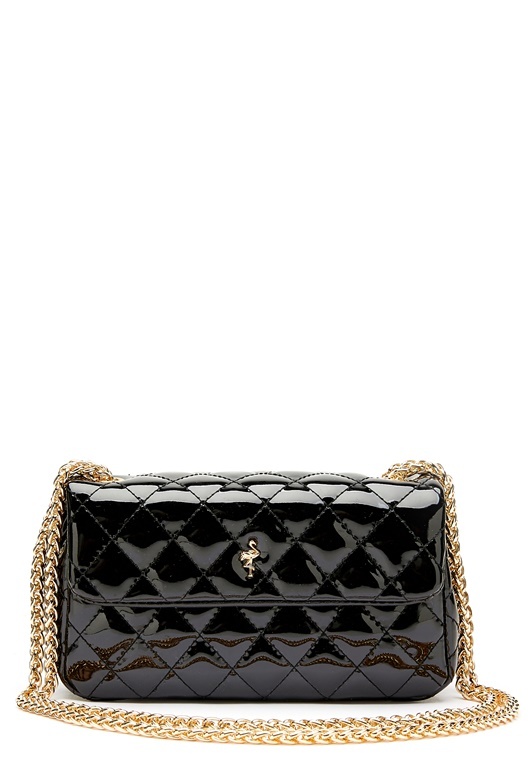 The bag is quilted with a thin shoulder chain. - Shoulder chain (non-detachable) - Two compartments with covers and magnetic snap closures - Quilted Small metal flamingo on front Length 19 cm, width 7.5 cm, height 11 cm.